Dead End Job is a Ghostbusting Roguelike Coming in Spring | Nerd Much? Ever thought to yourself, “Man, if only someone would combine the worlds of Ren & Stimpy and Ghostbusters. That would be awesome.” Well, the team at Ant Workshop must have been eavesdropping on that sick and twisted mind of yours as the team is bring us just that in their new game Dead End Job. 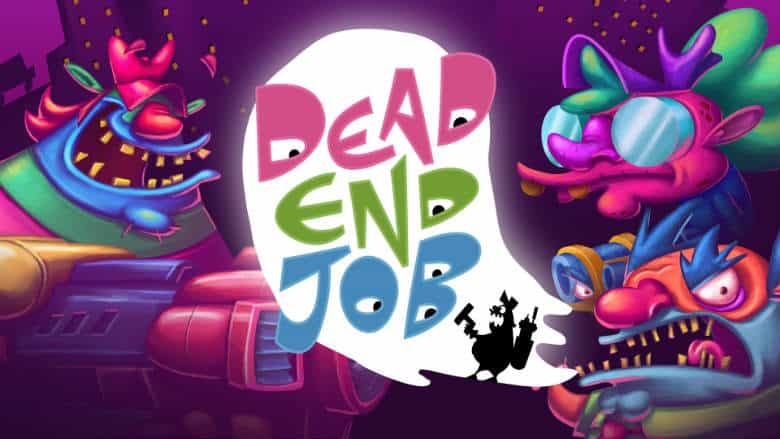 Dead End Job drops you into a procedurally generated world in a game which “straps a vacuum pack to your back and puts a plasma blaster in your hand.” The art style, as mentioned, is inspired by Nickelodeon’s classic animated series Ren & Stimpy. And the vacuum and plasma blasters come via the love of the iconic Ghostbusters movies. As you play through each level, you’ll be rewarded financially depending on your character’s overall productivity and efficiency. More money in your pocket will bring you more ghostbusting options that you can purchase down the line. The developers explain that “every specter you snag and every resident you rescue is added to your client’s bill at the end of the job.” So get to ghostbustin’ and get to savin’. An exact release date wasn’t given for Dead End Job, but the publishing team at Headup Games did confirm the title will come to PC, Nintendo Switch, Xbox One and PlayStation 4 at some point this spring. Which is much sooner than the new Ghostbusters movie that was just announced for next summer. At least this roguelike can potentially tide us over until then.